The second annual Thinkers’ Fair was held August 9, 2018 at the Jackson Medical Mall. The Thinker’s Fair introduces and encourages parents and children to discover and participate in STEAM (Science, Technology, Engineering, Arts and Math) project based, hands-on learning activities. Attendance increased from last year to about 350 attendees. Because of its popularity, there was also an increase in vendor participation, whose exhibits brought STEAM based activities to life for attendees. 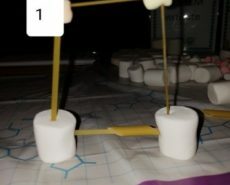 Some examples of STEAM activities included Robotics – Pepper, CSpire’s robot which was a favorite of fair attendees; Music – how various instruments make their unique sounds; Human Physiology – how does the tongue taste; Physics – the power of air pressure; and Engineering – building with spaghetti and marshmallows! The Fair also hosted a first time event, the “High School Team Challenge”. Three teams of high school students were each given a real life local “Social Community Need” and were given 1 hour to develop an implementable business based solution with a specific action plan on how they would solve their Community Need. The Thinkers’ fair is hosted by a collaboration of organizations dedicated to the welfare and future well-being of our community’s youth. 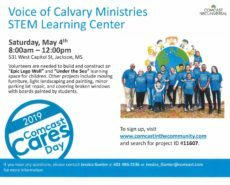 These organizations include the Mississippi College STEM Institute, Voice of Calvary Ministries, Common Ground Covenant Church, and the Jackson Medical Mall Foundation.